Lane Departure Warning is designed to read lane markers under certain conditions and provide visual and audible alerts when lane departure is detected. It is not a collision-avoidance system or a substitute for safe and attentive driving. Effectiveness depends on many factors. Dynamic Radar Cruise Control is designed to assist the driver and is not a substitute for safe and attentive driving practices. System effectiveness depends on many factors, such as weather, traffic and road conditions. Are drivers being advised to review this important, maybe lifesaving information? Or are they getting the keys to their fleet vehicles along with an assumption that the vehicles’ technology will keep them safe? Imagine this scenario: One of your drivers, in a vehicle equipped with an Automated Emergency Braking (AEB) system, is following a SUV on a multi-lane highway and traveling at a reasonable speed of 35 miles per hour. Suddenly, the SUV in front moves into an adjacent lane and ahead is a stopped vehicle. What was the outcome? Car and Driver magazine, in its November 2018 issue, published a report on the efficacy of the AEB system. One of the tests conducted measured the success of target switching. Four sedan models from various manufacturers used in the test were typical of what you would find in a light-duty fleet—from high-end executive models to standard mid-size cars. IN EVERY SINGLE TEST CASE, the AEB system under these conditions failed to switch focus on a timely basis to the new target (the stopped vehicle) resulting in a collision. What can you do to help make sure the driver in our scenario avoids the collision? Here are a few practical suggestions to help your fleet avoid over confidence in safety technology. Create Awareness: Pull the owner’s manuals for each vehicle in your fleet selector and list the safety technology disclaimers for each model. You may have to search as the disclaimers can be scattered throughout the manual. When a driver is assigned a new vehicle, present that vehicle’s make/model specific disclaimer list for the driver to review. 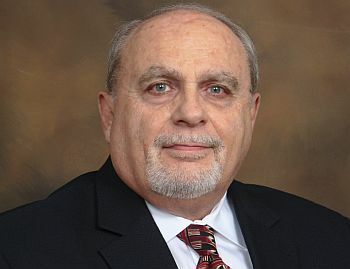 Make it Policy: Consider requiring the driver to sign anad acknowleedge he or she understands the limitations of the systems and accepts the sole responsibility to safely operate the company vehicle. 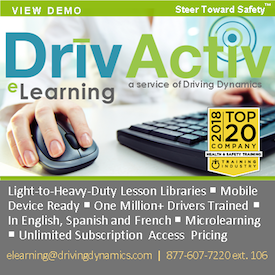 Provide Training: Enroll your drivers in Driving Dynamics’ DriveReady Advantage™ behind-the-wheel safety course which includes an extensive training segment on the practical use and limitations of vehicle safety technology systems. Offered at hundreds of sites across North America, this open enrollment course will potentiate the ROI on your vehicle safety technology investments. Remember, you, the driver, not the vehicle’s technologies, must always be in control and competent to avoid or mitigate hazardous traffic situations. website: www.drivingdynamics.com; Email: staysafe@drivingdynamics.com;Steer Toward Safety and The One Second Advantage are trademarks of Driving Dynamics Inc. All Rights Reserved. Study Says Electric Scooters Send More People to the Hospital than Bicycles and WalkingIs Hydrogen "Incredibly Dumb"?